Have you experienced the famine cycle of business lately? A client complained, “I get so frustrated with being overwhelmed with business one week and famished the next. The truth is many business professionals experience the ebb and flow of business when they first start out. Some never break out of this daunting cycle. Their businesses eventually fail for they never learn to balance the ebb and flow with consistent marketing. A mentor friend advised me, “To create daily sales, you must market daily.” Here are five of those top ten things to include in your marketing plan. Include these, break the feast and famine cycle for good and start a perpetual boost in sales: 1. Put valuable free content on your website. Seek to educate your audience. Help them make more money, cut costs or solve their problems. Examples include: online assessments, how to tips, short reports, resource lists, how-to tutorials, dictionary of terms in your field, etc. 2. Create systematic ways to attract traffic to your website. 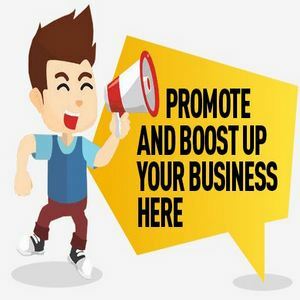 Setup a marketing system that will attract visitors to your website. Write articles that create a link back to your site. Develop a newsletter to stay in regular contact with your prospects and customers. Offer free information to educate, entice and motivate your audience. Include your website url with a special offer to attract visitors systematically. 3. Automate keeping in touch with prospects and clients. Put a subscription form on your website. Make a special offer or free gift to entice your prospects to sign-up. After building a list of prospects, you must follow-up with them on a regular basis to build credibility and relationship. You could create a message and put it on an auto responder. Send a message for every week with an offer for something valuable that will cost your audience little or nothing. 4. Expand your marketing collateral. If you create a short report that your target audience will value (e. “How to Hunt the Hidden Treasure in Your Customer Files”), don’t stop there. Expand it to a different media and/or market. You could create a tele-seminar, short articles. Or use the information to re-purpose it for a different market: coaches, consultants, doctors. 5. Make marketing a habit. Marketing must become a habit not an interruption. Make a calendar that specifies what marketing activities you will do, in what frequency and the deadline. This way, your marketing becomes a part of your regular routine and not an interruption of real work. Schedule all your marketing activities including: writing articles, advertising deadlines, traffic building, referral systems, speeches, tele-seminars, etc. So how did your plan rate on a scale of 1-10? Seasoned business owners most likely already have their plan in place. Even so, no matter where your experience level is, you can balance your business profit cycles by including: valuable content on your site, a systematic way to drive traffic, automatically keeping in touch with prospects and clients, expanding marketing collateral, habitual marketing, a good referral system, automated billing system, templates of best practice business and marketing materials, soliciting previous customers and outsourcing your marketing services. Sound overwhelming? Don’t worry. Even starting with 2 or 3 of these tasks will help stabilize your sales flow. Start now. Put these tips into practice one by one and break the feast and famine cycle for good. Give your sales a perpetual sales boost with consistent marketing. Go ahead. Market daily and prosper daily. ================================.